It's rivalry week in college football. We play our big rival tomorrow in the Iron Bowl. We aren't going to the game, but we will be watching. 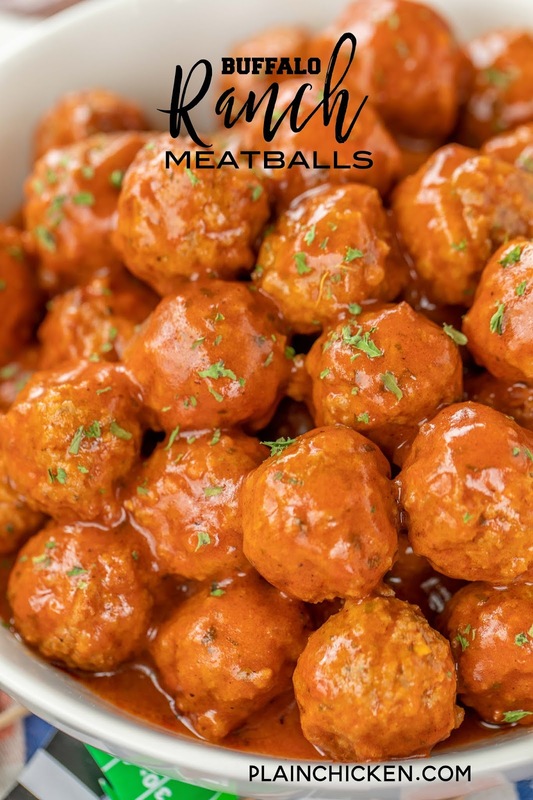 We will also be eating these Buffalo Ranch Meatballs. 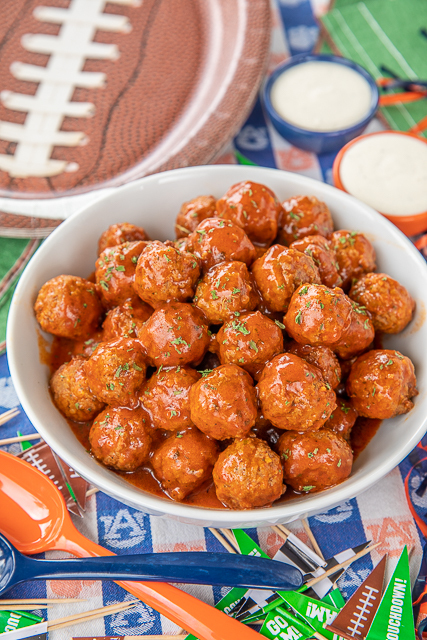 With only 3 simple ingredients, these are a must for football parties! 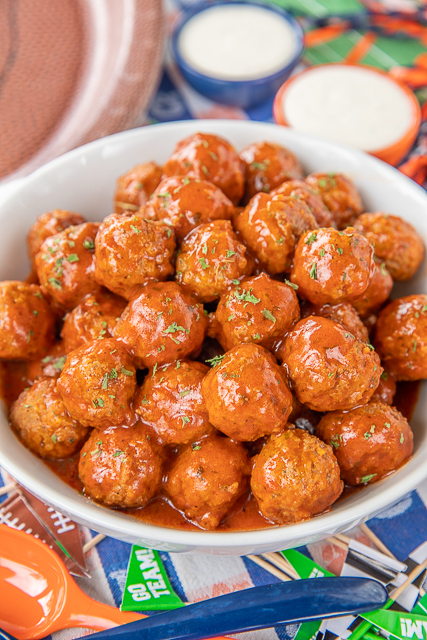 I like to cook these Buffalo Ranch Meatballs in the slow cooker for a couple of hours. I serve the meatballs straight out of the slow cooker. So easy and it keeps the meatballs warm during the game. If you are pressed for time, you can throw these in a Dutch oven on the stove for about 20 minutes. Either way, they taste fantastic!! Now, these have a kick to them. 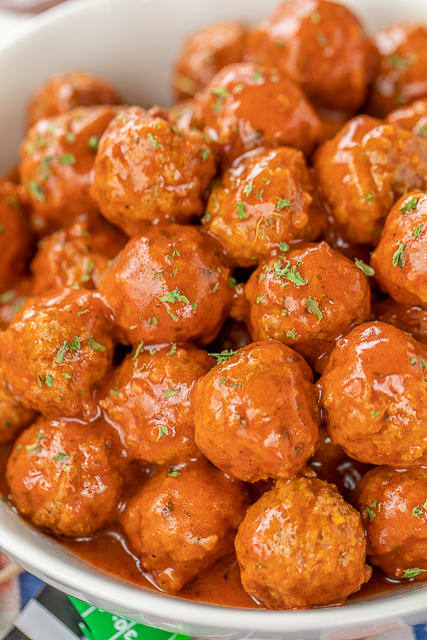 If you don't want the meatballs super spicy, you can add some chicken or beef broth to the slow cooker to help reduce the heat in the buffalo sauce. We served these Buffalo Ranch Meatballs with a side of ranch dressing. Perfect! 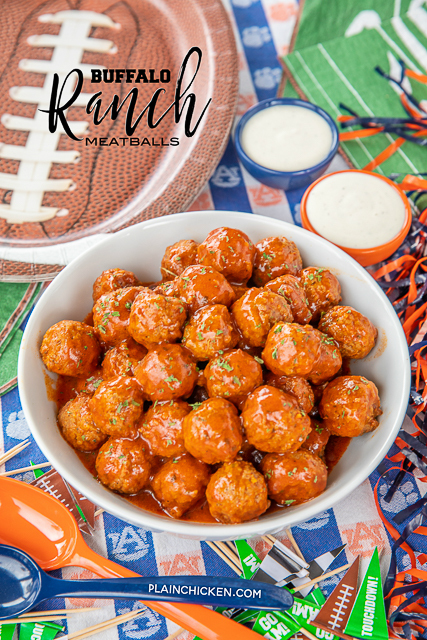 Give these a try for all the big rivalry games this weekend! I'm sure we can all agree these are delicious!! Put all ingredient in slow cooker. Stir to coat.